Our classic engine is natural with black and red details and black and yellow smokestacks. 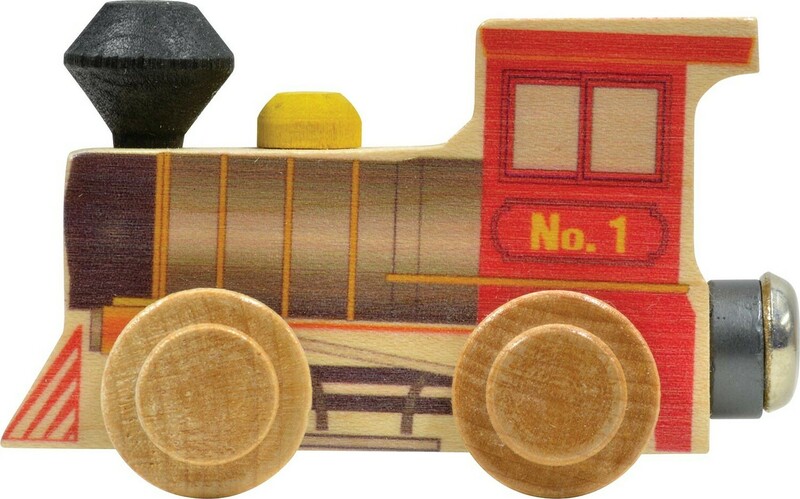 Of course, the engine is compatible with our other NameTrain pieces. 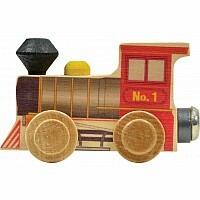 Made from solid hard maple with a non-toxic finish, suitable for ages 3 and up.